This should not be regarded as unusual. In the same way you would expect a French winemaker to speak with a French accent, or an Italian winery to have an ‘ i ’ at the end its name, you should not be surprised that Israel makes kosher wine. Likewise in the same way New Zealand specializes in Sauvignon Blanc and Argentina in Malbec, Israel specializes in kosher wine. Nothing wrong in that. Unfortunately the word ‘kosher’, where wine is concerned, is almost a pejorative term. If it is kosher, there are those who believe it can’t be good. Usually Israeli wineries prefer to ignore the ‘k’ word. It is obviously supremely important for those that need it, but apart from this, wineries want to be known for producing great wines, whether kosher or not. However for many wine lovers and others ignorant about its effect, the kosher certificate is seen as nothing less than a mark of Cain. So let’s meet the ‘k’ word head on. The kosher wine laws are the oldest wine laws in the world. France may boast about its Appellation Controllée system and Cru Classé classification, which have roots that may go back hundreds of years, but the Kosher wine laws are measured in thousands. Some of these laws (orla, kilai hakerem) still make sound agricultural sense.. Others (like shmittah, trumot & maserot) are today regarded as more symbolic. In Biblical times though, they were revolutionary, addressing the profoundest issues of spirituality v’s materialism, economic justice and ecological sustainability. One thing is for certain, not one of the kosher wine laws may be held as a reason for making poor wine. The kosher designation should not be thought as a quality defining process. Think of kosher certification more like a quality assurance program, similar to the ISO systems. All raw materials like yeasts, barrels and fining agents have to be prepared under the strictest quality and hygiene standards. Origin and traceability are key and there is an exaggerated emphasis on cleanliness. However there is nothing which alters the basic way of making wine and traditional methods are followed throughout the process. As fining agents from animal or diary sources are not permitted, most kosher wine is suitable for vegetarians and if egg whites are not used for fining, for vegans too. In a world where all things organic become more important, kosher wine has a virtue that anything added or utilized in the winemaking process has to be strictly and rigorously checked before permission is given. Regrettably, kosher wine is often confused with the Kiddush wine category. These are the sweet, red sacramental wines that have given kosher such a bad name. However in reality, a wine can be well-made or poorly made. In terms of quality, it is irrelevant whether it is kosher or not. The other category which receives a bad press are mevushal (pasteurized) wines. Without exception, the finest kosher wines are not mevushal. However those wineries that need to make mevushal wine, usually for kosher caterers or kosher restaurants in the United States, are improving techniques by using flash pasteurization or pasteurizing the must and not the finished wine. However strict observance of kashrut does not prohibit the possibility of either making great wine or drinking a fine wine for purposes of religious ritual. Even one of Judaism greatest sages, The Rambam, aka Maimonides, gives guidance here. He was a proponent of quality wines and insisted that sweetened or pasteurized wines should not be used either for Kiddush or Arba Kossot (‘The Four Glasses’) at Passover. Thirty years ago most kosher wine was sweet, or at best semi dry. The first wineries to make world class kosher wines were the Golan Heights Winery from Israel and Herzog Cellars of California. The Golan’s Yarden brand won more trophies and medals in major competitions than any kosher winery and Herzog’s Reserve wines received higher scores in the Wine Spectator than any other kosher brands at that time. Since then they have been followed by a host of other wineries, many of them have proved that kosher can be synonymous with quality. Proof of the pudding is in the eating. ‘Kosher Castel’ has won even greater international acclaim than Castel did previously. This is the best example yet that the kosher stamp does not affect quality. As Ben Zaken explained: “We decided to make all our production kosher. After all, it’s as easy to employ an observant Jew as it is to employ a non-observant one.” The change did not adversely affect quality. Maybe the opposite, the winery has not stopped receiving recognition at the highest level since. A mere six years ago all Carmel’s wines were mevushal or flash pasteurized. Since then Carmel has gone through a revolution. New cooler vineyards were planted, modern state of the art wineries were built and young dynamic French and Australian trained winemakers were employed. A new management strategy changed the company from volume to quality and from sacramental to single vineyard wine. Carmel, the oldest and arguably most famous Jewish brand worldwide, used to symbolize everything nostalgic about Jewish wine. Now it represents the revolution in Israeli wine. Carmel are winning awards and new recognition. The Carmel Limited Edition, Single Vineyard wines like Kayoumi and Appellation wines are all having rave reviews. Also Yatir, Carmel’s boutique winery, is Israel’s most exciting new quality winery in the last 10 years. The message is that it is possible for kosher wineries to seek excellence, whilst still maintaining a very strict level of kashrut. Kosher wine may also be made well outside the land of Israel. Jeff Morgan, a wine writer with the Wine Spectator, started producing his kosher wine in answer to a challenge. On being asked why there were no great kosher wines, he could not think of a reason. The winery workers were trained like any others. The winery equipment was the same as other wineries and the Cabernet Sauvignon grapes were the same quality as some of the best in California. The winemaking procedures were the same. So he set out to make one. When he launched a Napa Valley wine by the name of ‘Covenant’ to great acclaim, he had proved his point. It was possible to make world class wine, which was also kosher. Celler de Capcanes in fact became a quality winery because of the success of an initiative to make a kosher wine! It was previously a large co-operative making bulk, non kosher wine in the Montsant region of Spain, near Priorat. Then, in order to be good neighbours, they decided to make a kosher wine for the local Jewish community in Barcelona. This entailed purchasing new equipment. 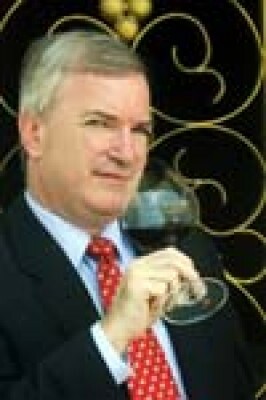 The success of the resulting kosher wine, Flor de Primavera – Peraj Ha’abib, encouraged a whole change in direction. Like Carmel they decided to change the emphasis of their production from bulk to quality. In this unique instance it was the success of the kosher wine, which encouraged Capcanes to improve its non kosher wines! At the same time they proved that it is possible to make a quality product, adhering to the rules and restrictions, at what is basically a non kosher winery. There are other famous wine labels that also make a kosher cuvée. Laurent Perrier, Château Giscours, Château Pontet Canet , Château Léoville Poyferré and Château Smith Haut Lafitte are examples. There are also big brands that have a kosher version like Fortant de France and Mouton Cadet. Even some of the world’s most famous winemakers, like Ricardo Cotarella from Italy, are also now making kosher wine. Many produce very good wines but do not always succeed to match the non kosher version. The reason may be logistics, the need to sometimes pre-determine the timing of the harvest or to train a special, new workforce on the job. Where Thunevin differed from some of the other big names was that he personally chose to market and put his name behind the kosher wine. He wanted the kosher & non kosher wine to be of similar quality and gave tastings of the two together. The kosher and non kosher editions even cost the same price – just under US$ 300 a bottle! The result was a wonderful advertisement for kosher wine, which also happened to be the most expensive kosher wine in the world. So if kosher wines are so good, which are the best? The leading Israeli kosher wineries according to Hugh Johnson’s Pocket Wine Book 2009 are Castel, Yatir, Yarden, followed by Carmel, and Galil Mountain. Interestingly this view was supported by the Robert Parker / Mark Squires viewpoint. In the Wine Advocate, the four Israeli wineries which succeeded in getting at least two wines with 90 or more points were the same names: Carmel, Castel, Yarden and Yatir. It is interesting to note the number of Israeli wines on the list. Castel has four wines in the top 13. Carmel also has four, taking Carmel & Yatir wineries together. The Golan Heights and its subsidiary, Galil Mountain, have two between them. Incidentally the best kosher white wine was the Castel ‘C’ Blanc du Castel, Judean Hills, Israel 2005 (91 points) and the best kosher dessert wine was the Yarden HeightsWine, Galilee, Israel 2005 (93 points). The scores are taken from The Wine Advocate and Parker’s Wine Buyer’s Guide. This article draws me to three conclusions. 1. It is clear that a kosher wine may be a genuine world class wine. The kosher designation is no bar to quality. 2. It is far easier for a winery which observes kashrut to produce kosher wines of real quality, than it is for a non kosher winery to produce the occasional kosher batch of the same quality. 3. It is obvious to me that outstandingly the best quality and best range of kosher wines made today come from Israel. So in the same way, it can be said that many countries make very good sparkling wine, but the best is still thought to be Champagne in France, it is no contradiction to say the finest kosher wines come from Israel. Let us face it, kosher wines have a bad reputation because once they were pretty awful. Now they are not. The public have taken time to catch up to the new reality and the ‘k’ word stigma still exists. 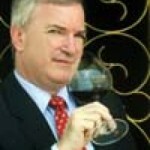 The world’s leading wine critic has given them his approval, it is time the wine drinking public did the same.